Itsiebitsiebeach.com is your one stop lifestyle beach store that lets its customers buy chic beachwear from around the world online here in Dubai. 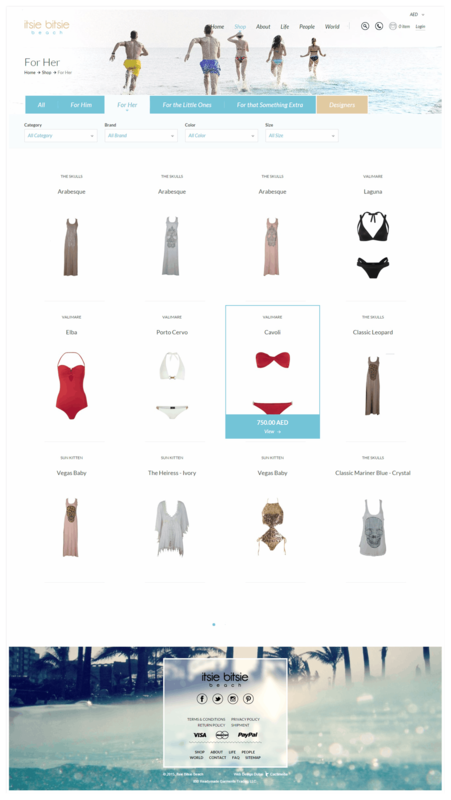 Itsie Bitsie Beach, wanted to make sure the shopping experience involves loads of fun – and that’s exactly what the site is. The website has everything from trendy prints from St. Tropez to exotic bikinis from Brazil plus some happening styles in Australia and tastefully blended beach kaftans with a touch of local culture. The founders of Itsie Bitsie Beach strongly believe that their customers should be a part of the Itsie Bitsie Beach lifestyle and have the right to be heard. 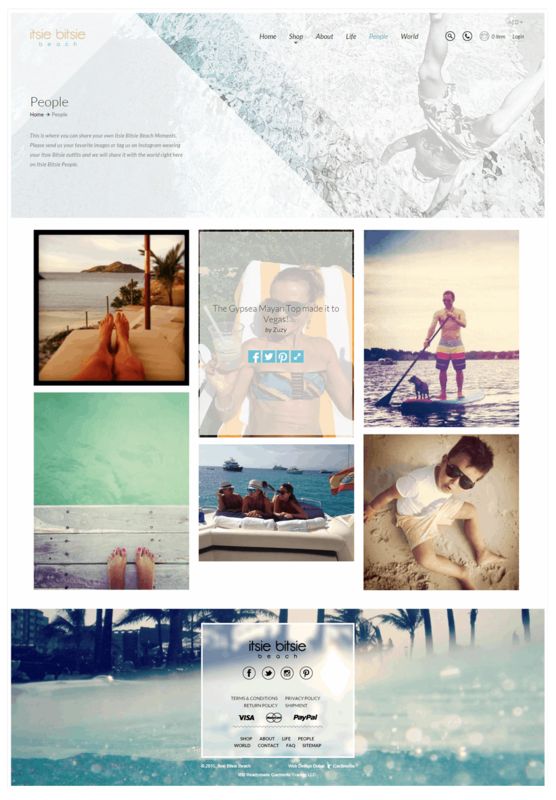 And therefore, we incorporated an exclusive space on the website where people have the freedom to express their ideas for trendy beach fashion, share their beach experiences and write about their favorite beaches in the world. From a design perspective, Cactimedia designed the website to be really chic and fun so as to communicate the brands positioning loud and clear. We did that through a colorful and trendy homepage with catchy images intermingled with strong copy throughout the website. 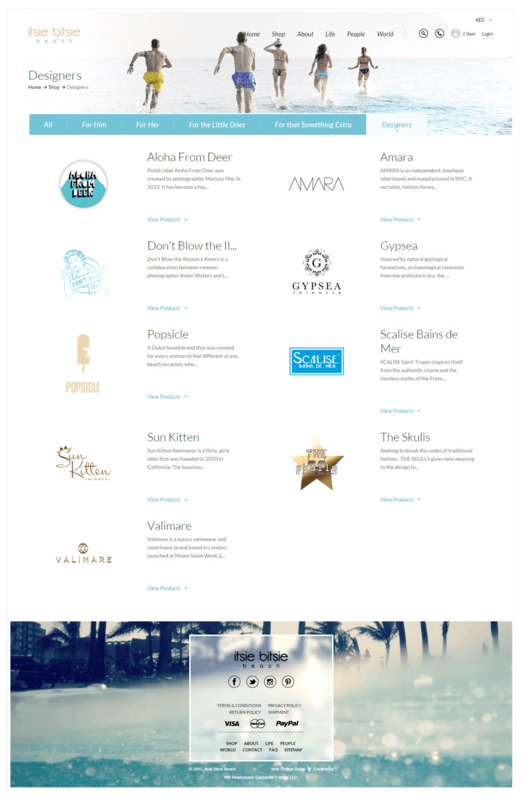 We made sure that everything from the menus, to the images, to the positioning of text and choice of fonts exuded that chilled out and relaxed beach vibe. The Itsie Bitsie Beach website is a breath of fresh air in terms of ecommerce design in the UAE. The only way you can gauge the genius of the designers and developers that built Itsie Bitsie Beach is by having a look for yourself.